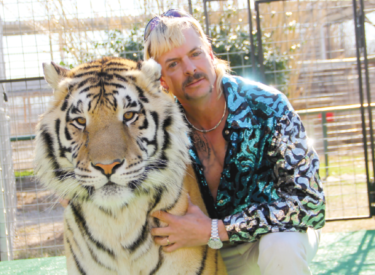 OKLAHOMA CITY (AP) – A former Oklahoma zookeeper who ran for governor this year and uses the name “Joe Exotic” has pleaded not guilty to federal charges in an alleged murder-for-hire plot. Online court records show 55-year-old Joseph Maldonado-Passage entered the pleas Thursday to two charges in federal court in Oklahoma City. Carole Baskin, who runs Big Cat Rescue in Florida, has told The Oklahoman that she was the target of the plot after clashing in the past with Maldonado-Passage. Maldonado-Passage once operated a zoo in Wynnewood, Oklahoma, and ran unsuccessfully for Oklahoma governor as a Libertarian this year. He was a write-in candidate for president in 2016.